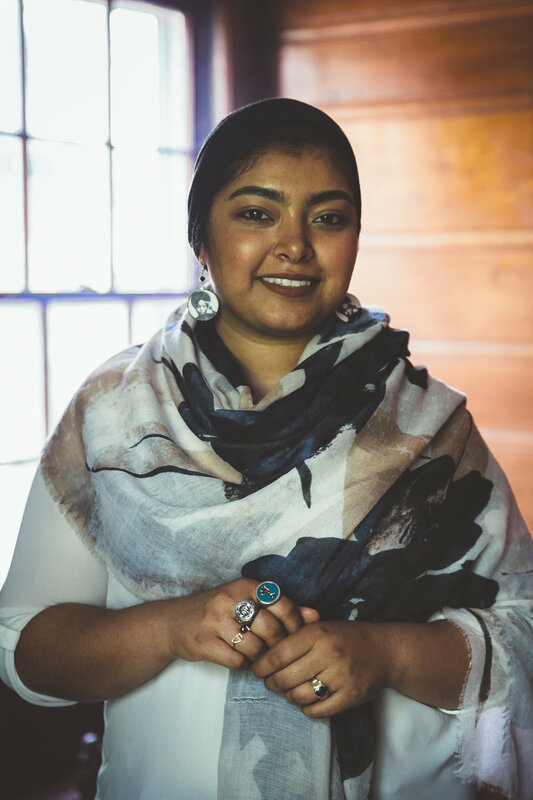 Tazeen is an Arabic professor at Henry Ford College, a singer-songwriter, and host of a weekly live series called Digging Deeper on Instagram and Facebook. What a pleasure it was to have the opportunity to sit in Tazeen’s home and hear some of her story. A few of my favorite points covered while chatting were: How she finds balance between trusting the “divine order” of things and taking action. How she learned not to expect anyone to be her “everything”. A beautiful description of her Sufi Muslim faith which includes “a meditative prayer where you sit and chant Devine names and Devine attributes in hopes that you are connecting yourself with the Devine presence and also taking in the attributes and embodying them.” How Divine presence is within you if you believe it, and if you don’t - divine presence is still within you! And how sometimes all it takes to make the world a better place is to reach out and say, “What you feel is valid, it’s going to be ok, and I’m here for you.” Please enjoy this super spiritual episode, friends! Click the links below to check out Tazeen's series Digging Deeper, and her Instagram feed!